Jordan Spieth is back in Sydney to defend this week's Australian Open, a victory he capped with a blistering final-round, course-record 63 that kick-started a rich vein of form. Spieth is back in Sydney to defend this week's Australian Open, a victory he capped with a blistering final-round, course-record 63 that kick-started a rich vein of form. The Dallas-born player went on to win the following week's World Challenge and then headed into the PGA Tour season, capturing the Masters and US Open titles along with the Valspar Championship, a second John Deere Classic and the year-ending Tour Championship. "I felt after that Sunday round here at the Australian Club a year ago that my victory in Sydney would do something for me, but not launch the type of year I've had this year," he said. "I was tied for the lead going into the final round here in Sydney and I knew I could do it and really just stayed really patient and played one of the best rounds of my life when I really needed it. "I then went onto the next week and probably played the best golf of my career down the stretch, and really had that mental edge I had been looking for. "I kind of had that mental edge all my golfing life but kind of lost it a bit coming onto the tour, but I guess it was a steep learning curve." 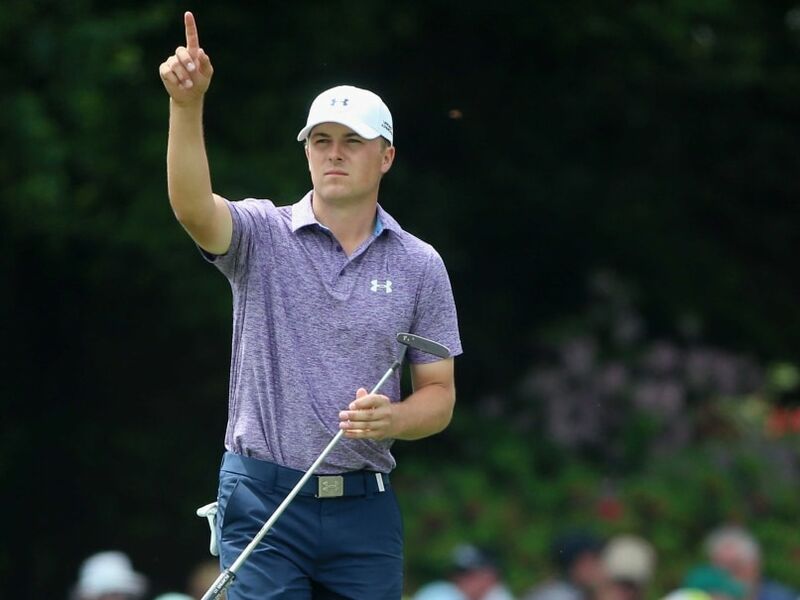 Spieth will tee up from Thursday looking to become the first non-Australian born player to win the coveted Stonehaven Trophy for a second straight year since the great Jack Nicklaus in 1975 and 1976. But after such a successful year when he is assured of ending the year as the world's top player, he admitted it will be a hard act to follow as he heads into 2016. "I don't know if it is realistic to raise the bar in 2016 given what I have achieved in 2015 but I am sure it will be very close as I am always trying to get a little bit better," he said. "It would be good if I could repeat what I have accomplished this year next season but whether or not that happens, my goals for the new year will certainly include having multiple tournament wins. "I would expect to at least win a major championship and it's exactly what Rory's (McIlroy) been saying, that even in an off-year you want to be at least close to winning a major."